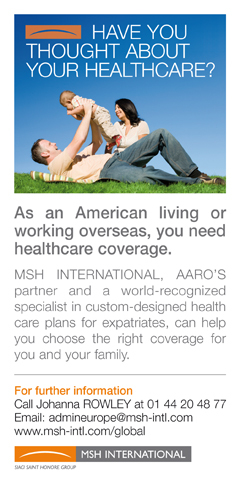 In brief, to join the plan you must be a member in good standing of AARO, be in good health, and live outside the United States. There are no age limits restricting admission. unmarried children who are physically or mentally incapacitated and depend solely upon the Insured Member for financial support. Some documentation will be required. Most applications to the plan are approved. However, AARO's carrier reserves the right to reject applicants receiving treatment for serious illness or a combination of illnesses which raise the applicant's risk profile. the Insured Member remains an AARO member in good standing. It is the responsibility of the Insured Member to maintain membership in AARO continuously. Unless the Insurer imposes a specific restriction when accepting a member or his dependents into the plan, the Insurer will not refuse to reimburse treatment of pre-existing conditions, but will make use of a waiting-period procedure. More information on the waiting periods can be found in the AARO Group Medical Insurance Plan brochure. An annual fee of $30 (€20) is charged per family for AARO's administrative costs associated with the insurance program. AARO does not receive any payments from the carrier or its program administrator. Annual premiums are listed in the Annual Premiums table which can be downloaded.